A journal of what I’m doing, things I discovered, etc. …because the world IS relational. Personally, I find this statement: “And yes, this is a somewhat relational model.” amusing. Well, since it’s relational, doesn’t a relational database seem like the right tool? And what does “somewhat relational” mean? It either is or it isn’t, in my opinion. There’s no “somewhat” here. I have put together is a set of classes to facilitate building the content of a property grid control on the server-side. You will note that I opted for actual classes and a “fluid” programming style, but if you don’t like the way the actual implementation looks using a “fluid” technique, I have also put together a very minimal internal Domain Specific Language (DSL) that you can use instead — basically just method calls that hide (using static data) the internal management of building the property grid instance. As in my previous articles, I will be using Sass and Slim scripting for the CSS and HTML markup. … The rest of this article is forthcoming! Use a separate database for session and other metadata store, leaving the database we’re connecting to for navigation untouched. Rather than physical Models for each table, implement a dynamic Model. 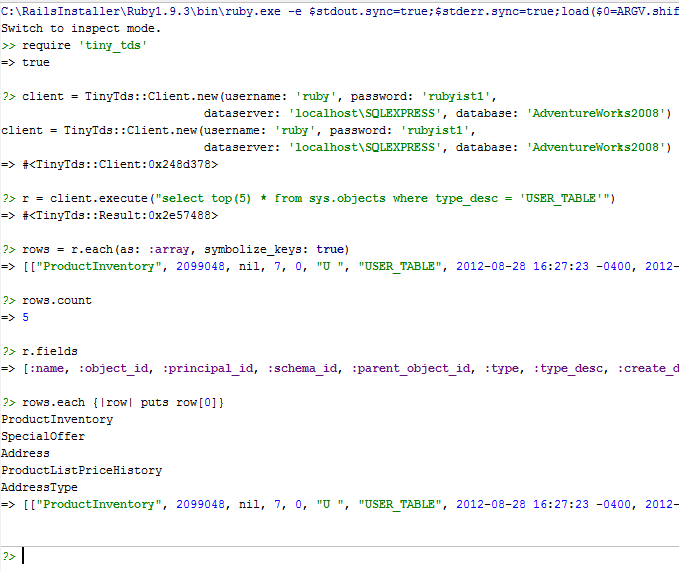 Something I’ve been interested in is creating a dynamic data viewer for SQL Server in Ruby on Rails. 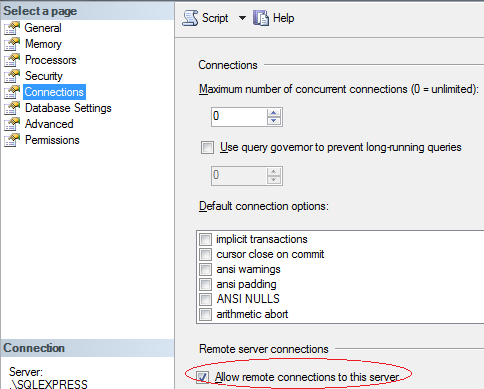 Here’s the steps I had to take to establishing a connection with SQL Server. I’m using the AdventureWorks2008 database as the test database, and I should also point out that I’m running Ruby in Windows 7. 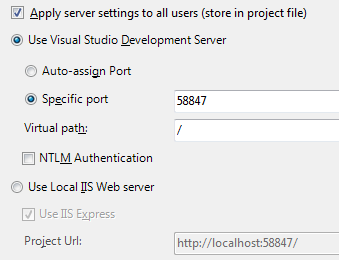 Some initial configuration of SQL Server Express is necessary, depending on how you configured SQL Server Express in your initial installation options. Create a user account under Security -> Logins. I named my account “ruby” with the password “rubyist”. 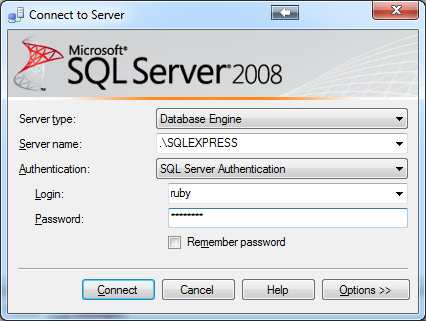 On connecting the first with SQL Server Authentication, you will be prompted to change your password, so I changed mine to “rubyist1”. On the same dialog box, click on the Server Roles page and enable the desired roles. After making all these changes, I found it simpler to just reboot my machine. 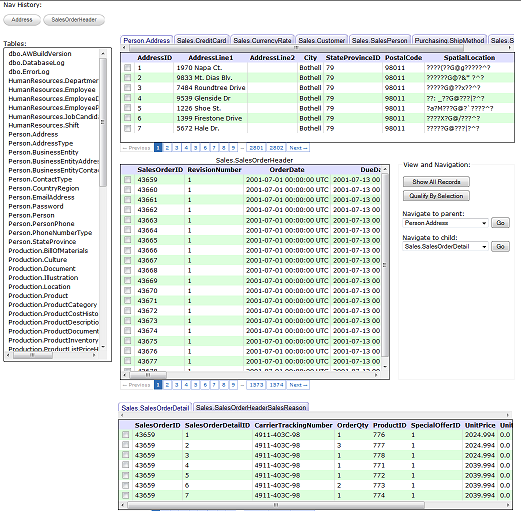 If all the configuration changes went well, you should see the object explorer. If you continue to have problems, check out this excellent article on dealing with connection issues, which includes steps that I have omitted, such as configuring the firewall, as I’m testing everything locally. Pay particular attention to the client connection and the dataserver value. For more information on how tiny_tds works and the options that it supports, refer to the tiny_tds GitHub page. 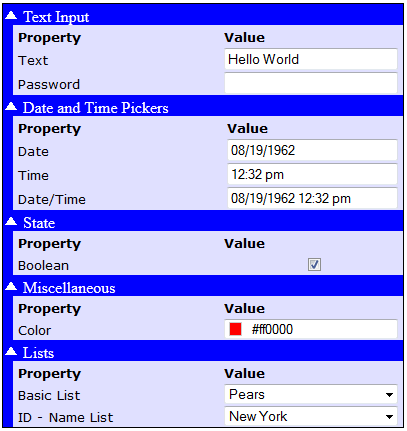 This is an important part of the dynamic data explorer that I’m writing as an application example in my upcoming book Imperative to Function Programming for SyncFusion‘s “Succinctly” e-book series.